Traveler’s diarrhea is one of the most common and predictable travel-related illnesses. Depending of the destination, season and some others factors, 30%-70% of international travelers are affected it. Traveler´s diarrhea usually goes away in some days and fortunately, is not so serious. However, it can be unpleasant and it is a good idea to have doctor-approved medications in case you are going to an area that the climate or sanitary practices are different than you are used to at home and if the diarrhea persists and doesn’t go away. Traveler’s diarrhea is a type of digestive tract disorder; commonly causes abdominal cramps and stools. Usually, happens when you drink water or eat food that your body is not familiarized with. It can be caused by a virus, bacteria or parasites. It can cause dehydration, which can be dangerous especially in children and It can be contagious but depends of the cause and from person to person. If you or your children have one or more of these symptoms mentioned above you should see a doctor immediately. When it is important to see a doctor? Traveler´s diarrhea is not a serious disease, but some symptoms are serious and if the common symptoms take more than 3 days, you should make an appointment with your doctor. The condition can be more serious depending if it is caused by organisms such as bacteria. If you do not know which doctor to go to, you can go to the local consulate and they will help you, indicating a GP, who can speak your language. The doctor will do physical test first, take your temperature and press your abdomen. To check for tenderness in your abdominal area. After this, it is more likely to ask for a stool test to see if there are parasites and a blood test for possible infections. He can also confirm if you are dehydrated or not. Which can cause Traveler´s Diarrhea? When you go to a foreign country and drink contaminated water or eat a contaminated food, you can suffer from traveler´s diarrhea. You can also have it because of stress or a change in your diet. However, usually an infectious agent produces this disease. These organisms, as mentioned, can be bacteria, parasite or virus and they enter your digestive tract and overpower the defense mechanisms that combat pathogens, resulting in diarrhea. The most common cause of it is the bacteria called Enterotoxigenic Escherichia coli (ETEC). These bacteria can cause abdominal pain and cause diarrhea because they can attach in your intestine and release toxins. Why are the natives usually not affected in the same way? People who take acid blockers or antacids: can also have more chances to have the infections because they can reduce the stomach acids, making bacteria and other organisms to be able to multiply itself in your organism. What are the complications related with traveler´s diarrhea? Please pay attention on these symptoms, especially if the traveler´s diarrhea is caused by a parasitic infection. They can be more serious and probably, you will need some medication to treat it. They can cause fever, seizures, allergic reactions or bacterial infections. How can you treat traveler´s diarrhea? The treatment against traveler´s diarrhea depends on the cause. The first step, when the diarrhea is mild, is to avoid dehydration. You should drink more fluids and avoid alcohol and caffeine. When the traveler´s diarrhea is serious, you can also take oral re-hydration to replace the fluids. Besides this, you can eat foods that your body is familiarized with or food that have a lower risk of contamination, for example: white rice, toast, bananas and apple. These type of foods will also help your stools gain a harder consistency avoiding dehydration. Do not forget to wash your hands properly before and after preparing food. After this, the next step is to have over-the-counter (OTC) medicines that are recommend in mild cases of illness. Bismuth subsalicylate (Pepto-Bismol) and Imodium are examples that can be effective. If these medicines do not work, your doctor will prescribe a medicine according to the cause of the illness. If you have parasites, the doctor will prescribe oral antiparasitic drugs and depends which kind of parasite you have. 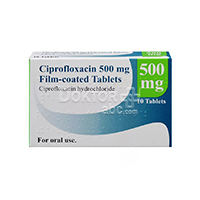 If you have a bacterial infection, the doctor will prescribe antibiotics like doxycycline (Acticlate) or ciprofloxacin (Cipro). Usually the traveler´s diarrhea takes from 2 to 3 days to stop, but depending on the severity it can last up to 7 days to clear up. It is important during these days to avoid contaminated food and water, so you will recover faster. How to prevent the traveler´s diarrhea? Unsterilized water, for example, tap water. If you consume tap water, boil it for three minutes before consuming it. During your travel, wash your hands always before you eat and when you use the bathroom. Please pay attention on your children, and try that they don’t put their hands in their mouth. Wash your hands with soap and water. If you do not have water or soap, you can also use alcohol-based hand sanitizer with at least 60% of alcohol. If you still suffer from these symptoms after taking all the precautions needed to avoid traveler’s diarrhea, you should take the medicine mentioned above, but be sure to pay attention that it is not recommended to take certain medicines with other types because of probable dangerous interactions. Be sure to not take bismuth subsalicylate (Pepto-Bismol) for more than 3 weeks or if you are pregnant, if you are allergic to aspirin or if you are taking other while you are taking some medications like anticoagulants. The common side effects are dark stools, black-colored tongue and the possibility to have constipation, nausea, and in very rare cases you may present tinnitus or a ringing sound in your ears. When you are traveling it is recommended to have OTC medicines in your reach, but take it with precaution because it may contribute to the development of antibiotic-resistant bacteria.